August 26, 2016 by Ken Ward Jr. Sometimes victories are so rare for the people of the coalfields that it’s tempting to jump on just about anything to try to celebrate some movement forward. At least it seemed that way this last week or so. A two-year struggle by the Kanawha Forest Coalition to halt a strip mine operating adjacent to Kanawha State Forest has ended in a bittersweet victory for the citizens group, after the West Virginia Department of Environmental Protection ordered a permanent end to mining at the Kanawha Development No. 2 Mine. Under the terms of a DEP consent order signed late last month after a year of negotiations between the coalition and the permit holder, Keystone Industries of Jacksonville, Florida, “no additional mineral removal activities may occur” on the 413-acre surface mine permit. “Activity is exclusively restricted to actions necessary to achieve phased release of the permit,” including rebuilding sediment ditches that are leaking or that contain acidic material, and mapping the locations of containment areas for selenium-bearing or acidic materials, according to the consent order. Bittersweet for sure. On the one hand, this situation certainly showed how citizens can play a vital role in enforcement of the federal surface mining law. And how DEP– in this case especially its inspection and enforcement staff — can do right by the citizens, especially if the citizens focus on the science and the law and are honest advocates, playing it straight with the many allies they have inside the agency, and don’t let up. But the question that can’t be avoided here — not if any lesson is to be learned — is why in the world did the DEP issue this permit in the first place? Citizens opposed the permit. They appealed it. They warned that something about like what ended up happening was likely to happen if DEP pushed forward. Hopefully, DEP Secretary Randy Huffman is asking his staff some hard questions about how the permit review process — not to mention the appeal process (in which sometimes agency lawyers act like they’re defending a murder case, making the litigation far more adversarial than it need be, given that the public is the ultimate client) — was handled in this instance. DEP staff are human and can make mistakes (like writing congressional testimony that throws environmental justice under the bus or advocating a rule that cuts off important avenues for public involvement, or underestimating public concern about or forgetting the long history and context of a rulemaking about cancer-causing chemicals in our rivers and streams) that aren’t always the result of politics or agency capture or something like that. Sometimes DEP officials just disagree with citizens, though – and sometimes citizens don’t do as good of a job as they might making their case. June 8, 2016 by Ken Ward Jr.
Photo by Vivian Stockman, Ohio Valley Environmental Coalition. Earlier this week, The New York Times had the latest of the recent national stories to take a stab at explaining the impending crisis regarding the cleanup of decades of pollution problems related to coal mining. The Washington Post had its own version of this story a few months ago. Regulators are wrangling with bankrupt coal companies to set aside enough money to clean up Appalachia’s polluted rivers and mountains so that taxpayers are not stuck with the $1 billion bill. The regulators worry that coal companies will use the bankruptcy courts to pay off their debts to banks and hedge funds, while leaving behind some of their environmental cleanup obligations. The industry asserts that its cleanup plans — which include turning defunct mines back into countryside — are comprehensive and well funded. But some officials say those plans could prove unrealistic and falter as demand for coal remains weak. A worsening financial crisis for the nation’s biggest coal companies is sparking concerns that U.S. taxpayers could be stuck with hundreds of millions, if not billions, of dollars in cleanup costs across a landscape of shuttered mines stretching from Appalachia to the northern Plains. Worries about huge liabilities associated with hundreds of polluted mine sites have mounted as Peabody Energy, the world’s largest publicly traded coal company, was forced to appeal to creditors for an extra 30 days to pay its debts. Two of the four other biggest U.S. coal companies have declared bankruptcy in the past six months. Under a 1977 federal law, coal companies are required to clean up mining sites when they’re shut down. But the industry’s plummeting fortunes have raised questions about whether companies can fulfill their obligations to rehabilitate vast strip mines in Western states — many of which are on federally owned property — as well as mountaintop-removal mining sites in the East. It’s great that these issues are getting national attention. But this attention is long overdue. And one thing that is a bit worrisome is that there is a tone in the stories that sometimes makes it seem like this all came out of nowhere — that no one possibly could have imagined this crisis. Water quality: Are we learning from the past? July 23, 2015 by Ken Ward Jr. Dozens of miners turned out this week for a state DEP public hearing on water quality standards. Photo by Ken Ward Jr. In the wake of Tuesday’s state Department of Environmental Protection public hearing on water quality standards, it seems a shame to allow the irony of the evening’s events to go unmentioned. 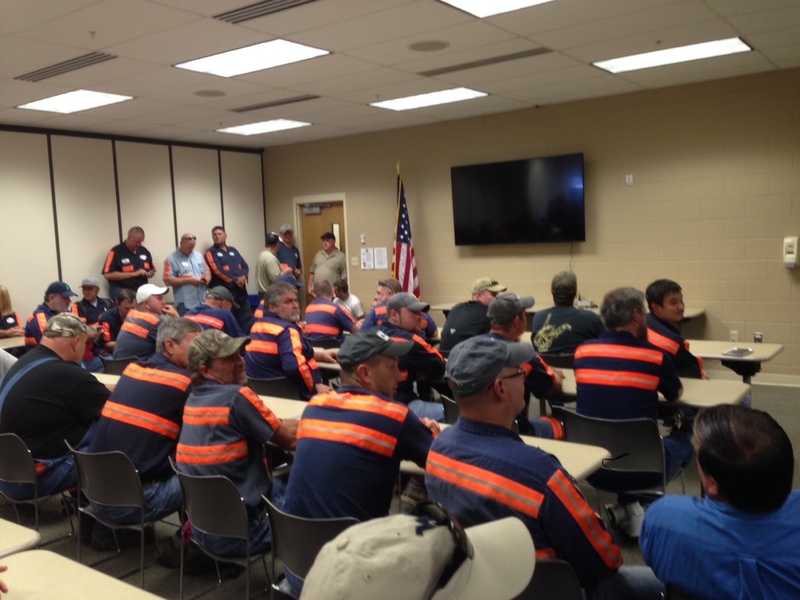 As the photo above shows, the West Virginia Coal Association did a find job of turning out a few dozen coal miners to sit at the hearing to show their support for the industry-pushed rule changes on aluminum and selenium that DEP (under orders from the Legislature) has proposed. Only two of the miners spoke, but I’m sure DEP got the message. Still, let’s remember that there were really two sets of water quality rules on the agenda for the public hearing. The first were the changes that environmental groups say will clearly weaken pollution limits for aluminum and selenium and complicate the enforcement for both toxic chemicals. The other is a pair of site-specific water quality variances that DEP says are needed to allow it a broader — and less bound by court-mandated permit requirements — approach to cleaning up streams in the Tygart and Cheat river watersheds that continue to be burdened by acid mine drainage from previous coal mining activities. Now, the industry’s argument in favor of the first set of changes — especially the one for selenium — is that the state’s current limits are unnecessarily stringent, and are making things even worse for the coal industry. 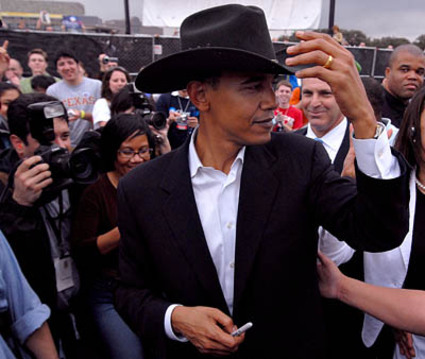 The politicians who showed up with Tuesday night’s crowd of miners kept having to stop themselves from turning the event into another bash-Obama and the EPA rally, rather than a hearing at which the state DEP was giving mine operators what they want. The thing is, while it’s true that citizen group lawsuits and court ruling have forced companies to spend money cleaning up selenium pollution — in one case helping push Patriot Coal to abandon mountaintop removal — it’s also true that scientists have found selenium is a serious problem for aquatic life in West Virginia streams (see here and here). 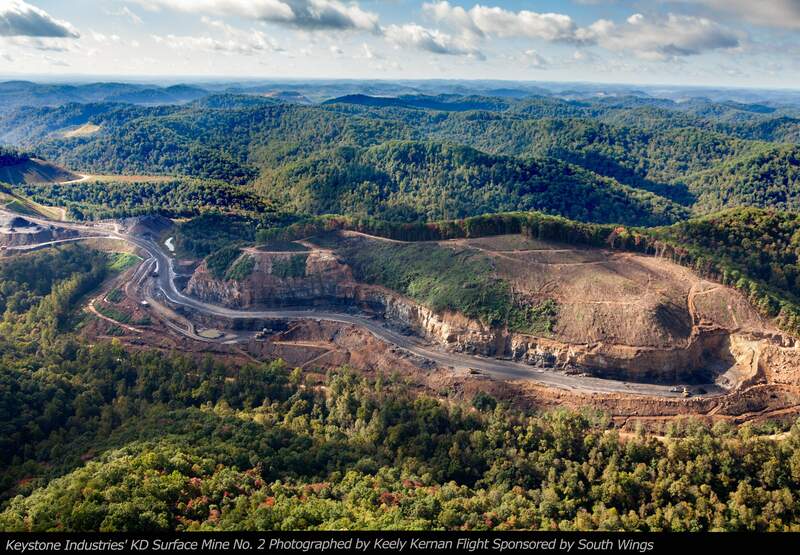 May 8, 2015 by Ken Ward Jr.
It’s been a while since we checked in on the status of West Virginia’s Special Reclamation Fund, the pot of money that’s supposed to ensure mines abandoned by operators since passage of the 1977 federal strip mine law are properly reclaimed. Given the ongoing downward spiral of the nation’s coal industry, there have been several recent media accounts about potential problems, given huge reclamation liabilities of several major coal producers (see here, here and here). The first thing on the agenda was a presentation from DEP officials that, in some ways, boils down to the agency’s continued unhappiness with having to live with court rulings that require pollution discharge permits for the SRF’s water treatment sites that have point-source discharges (see here and here for background on that). DEP officials believe that these permits and their associated pollution limits aren’t really doing much to improve watershed-wide water quality, especially in areas affected by acid mine drainage. 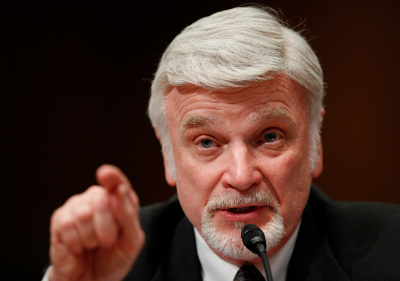 Agency officials believe other approaches might do more good, and use money more wisely. Maybe they’re right about that. But there’s the little issue of the Clean Water Act, and its mandate that no pollution discharges be allowed without permits. Nobody from DEP who attended Thursday’s meeting could really explain exactly how they could avoid the point source permits and still comply with the law. Whatever happened to reforming the AML program? April 18, 2012 by Ken Ward Jr. In the fall of 1999, University of Wyoming students and faculty moved into a new, $20 million geology building. Located on the university’s Laramie campus, the 65,500-square-foot facility included new computer equipment, state-of-the-art laboratories and a student lounge. Wyoming officials paid for most of the building with $17.9 million in federal Abandoned Mine Land money – coal taxes meant to fund reclamation of old coal mines. Federal regulators gave Wyoming the general go-ahead for public facility spending 10 years before. This was the state’s first such project. Since then, Wyoming has spent more than $90 million in mine reclamation money on public works projects that have little – if anything – to do with coal mining. Wyoming has diverted AML money to build highways, schools and hospitals, according to federal Office of Surface Mining data and state records. In Campbell County, Wyoming spent $12 million on an addition at Gillette High School. In Sheridan County, $7.8 million bought a new hospital. The town of Medicine Bow got $560,000 for a new water treatment plant. Until last month – prompted by questions from The Charleston Gazette – the OSM did not have a complete accounting of how the money was spent. “The state of Wyoming, quite frankly, was spending the money any way it wanted to,” said Guy Padgett, director of the OSM’s field office in Casper, Wyo. Since 1977, the state of Wyoming has received (or been promised) $1,051,898,067.60 from the AML fund according to Office of Surface Mining, which operates under the auspices of the Department of the Interior. 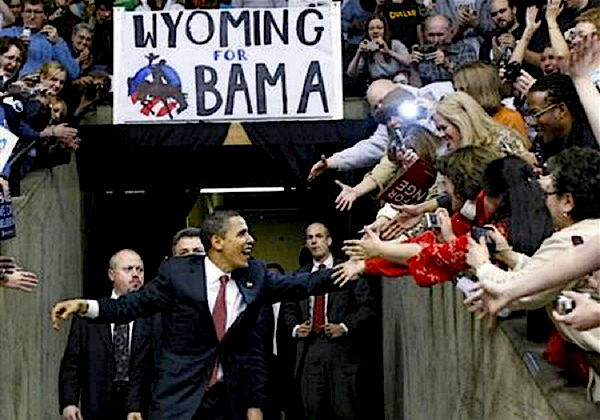 While disbursements did go towards the original purpose of the fund – Wyoming has reclaimed more than 1,051 coal and non-coal mine sites – hundreds of millions also got funneled into building water systems in Gillette, clean-air research, a hospital addition in Sheridan, maintaining state highways, and the Wyoming Wildlife and Natural Resource Trust. The largest single recipient has been the University of Wyoming, which has received more than $200 million in AML-related funding for research in clean coal technology, engineering and over-all energy research. This includes a 2007 $50 million appropriation for building the Michael B. Enzi STEM (science, technology, engineering and mathematics) facility. According to OSM documents, Wyoming has, thus far, spent only roughly 10 percent of its AML-related distributions, $151.6 million, reclaiming coal mine hazards. 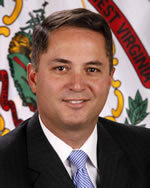 February 28, 2012 by Ken Ward Jr.
West Virginia lawmakers are considering at least one tax hike this session. The state Senate unanimously passed a bill Monday that would increase the tax that funds the cleanup of abandoned coal mine sites. Environmental officials say West Virginia needs more money for treating water at these sites. Monday’s bill would increase the reclamation tax on processed coal from 14 cents to nearly 28 cents per ton. Officials estimate that will increase the tax’s annual revenues from $19 million to $36 million. The water reclamation trust fund would get $20 million of that per year. Regular readers know that West Virginia regulators, Gov. Earl Ray Tomblin and lawmakers are under facing a federal court lawsuit that could force an OSMRE takeover of the state’s special reclamation fund unless they come up with more money for this program. We’ve reported many times on the huge financial problems facing the state’s special reclamation program (see here, here, here and here). You can read this particular piece of legislation here. It’s Senate Bill 579. It goes now to the House. Will Tomblin, Legislature fix mine cleanup fund? 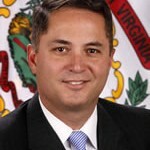 January 10, 2012 by Ken Ward Jr.
Coal companies should pay more to help clean up forsaken mine sites in West Virginia, the board overseeing state mine reclamation money said Monday. The state Department of Environmental Protection’s Special Reclamation Advisory Council voted unanimously to recommend the state nearly double a mine reclamation tax on coal companies. The proposed reclamation tax increase, which has to be approved by the Legislature, would add to the money the state now receives to clean up mine sites when mining companies don’t. The state currently collects about $21 million a year from the reclamation tax, which is levied on each ton of coal produced in the state. This tax is different from the state’s much larger severance tax on coal, which is expected to raise about $400 million this year for the state and funds numerous programs. If the increase were approved, the reclamation tax would go from 14.4 cents per ton to 27.9 cents. That would bring in an additional $17.4 million next year to clean up mine lands, a DEP spokeswoman said. West Virginia Coal Association President Bill Raney, who is also a member of the reclamation fund advisory council, said nobody likes to see tax increases but the tax has to be raised to help keep reclamation funds solvent. Costs to the state for cleaning up mine sites is rising because, among other things, a 2011 court agreement requires the state to comply with stricter environmental standards than before. “When all of these things come together, it just had to be done,” Raney said. We’ve reported many times on the huge financial problems facing the state’s special reclamation program (see here, here, here and here) and, of course, the question now is whether Gov. Earl Ray Tomblin and legislative leaders will listen to the advisory council. Last year, the Legislature did nothing, at least in part because the administration did not back the advisory council’s recommendation to increase the tax. August 10, 2011 by Ken Ward Jr. Following up on his suggestion that West Virginia officials need to “beef up” the state Department of Environmental Protection’s abandoned mine cleanup program, a federal judge has asked for a progress report on that reclamation program. Yesterday, U.S. District Judge John T. Copenhaver entered a brief order instructing the West Virginia Highlands Conservancy and the federal Office of Surface Mining to file by Aug. 25 a “joint status report addressing any matters impacting the disposition” of the Conservancy’s request to reopen its lawsuit against OSM over the state’s Special Reclamation program. 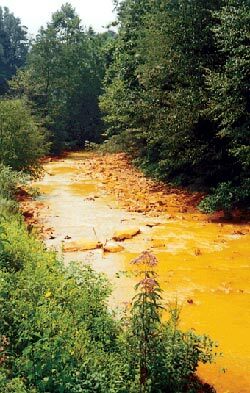 Remember that the new legal settlement between DEP and environmental groups requires state officials to improve their treatment of water pollution at nearly 200 abandoned mine sites around West Virginia. But at today’s meeting, engineer John Morgan, an advisory council member, asked why DEP shouldn’t also re-examine another 350 sites to determine if the tougher requirements — pollution treatment that actually meets water quality standards — shouldn’t be a applied to those as well. I’m just trying to be sure there’s nothing missed. Interestingly, state and federal officials weren’t too warm to Morgan’s suggestion. The list that everybody sued over is the list we spent all that time putting together. I’m not real anxious to go back and revisit that. Of course, if state and federal officials don’t account for potential water quality violations at those other sites, aren’t they just opening the special reclamation program — and OSM’s approval of it — up for more lawsuits from citizens? August 2, 2011 by Ken Ward Jr.
I’ve just received word that three citizen groups have reached agreement on a court settlement that, if finalized, will force the West Virginia Department of Environmental Protection to greatly improve the treatment of long-term water pollution runoff at dozens of old coal-mine sites across our state. Earlier today, lawyers for the West Virginia Highlands Conservancy, the Rivers Coalition and the Sierra Club filed the proposed settlement in federal court here in Charleston. A similar proposed settlement is expected to be filed in U.S. District Court for the Northern District of West Virginia. The deal concerns ongoing litigation the groups filed against WVDEP over the agency’s long-standing practice of not treating pollution from sites covered by the state’s Special Reclamation Fund so that the discharges would not cause water quality violations. Keep in mind that these sites are not part of the federal Abandoned Mine Lands program, and are instead operations that the state took over — after the operators went belly up or walked away — since passage of the 1977 federal strip-mining law. Over the years, the special reclamation program has never had enough money. Thousands of acres of abandoned mines sat unreclaimed. Hundreds of polluted streams went untreated. Historically, the fund had been short of money because coal operators had not posted reclamation bonds sufficient to cover the true cost of mine cleanups at sites they abandon. A state tax on coal production was never set high enough to cover the difference. Citizen groups have had to go to court just to get WVDEP to actually treat water pollution at these abandoned sites, and their latest legal effort was aimed at forcing agency officials to put in place treatment that would actually comply with permit limits and water quality standards. Readers may recall that federal judges in two different districts — Judge John T. Copenhaver here in Charleston and Judge Irene M. Keeley in the nothern district — have ruled against WVDEP on this issue. WVDEP’s outside lawyers also lost an appeal of the matter to the 4th U.S. Circuit Court of Appeals. So now, WVDEP officials have agreed to settle the case. Under the deal, WVDEP will by mid-August have to provide the citizens with a draft inventory of special reclamation sites with water treatment. A final list will have to be provided by mid-October. Then, over the next four years, the WVDEP will have to come up with permits — containing enforceable water pollution limits, aimed at meeting water quality standards — for at least 171 special reclamation sites across the state. February 14, 2011 by Ken Ward Jr.
Today’s a big day in Washington, with the unveiling of President Obama’s proposed budget for the 2012 federal financial year that begins Oct. 1. Agencies and reporters will be scrambling around to a series of briefings discussing what the president has proposed for the various agencies. I’ll be looking over budgets for agencies that deal most directly with the coal industry, starting with the Interior Department’s Office of Surface Mining Reclamation and Enforcement. The administration’s budget summary for Interior outlines a proposed 10 percent cut in the OSMRE budget, from $163 million to $146 million. A more detailed budget document, called the appendix, explains that Obama is proposing to cut OSMRE spending on regulatory matters from $127 million to $118 million and spending on abandoned mine cleanups from $36 million to $27 million. At the same time, the administration is again proposing a more targeted approach to spending on the Abandoned Mine Land, or AML, program. We’ve talked about this proposal in past years when it was proposed as part of the Obama budget. The idea is to stop sending coal production taxes intended for AML cleanups to western states — primarily Wyoming — that have certified that they’ve already cleaned up their abandoned coal mines. For abandoned coal mines, DOI currently charges industry an abandoned mine land (AML) fee and allocates receipts to states based on production, rather than on reclamation needs. The Administration proposes to target these coal AML fee receipts at the most hazardous sites through a new competitive allocation process with State participation. November 8, 2010 by Ken Ward Jr.
Big news just in from Richmond, Va., where the 4th U.S. Circuit Court of Appeals has issued a major decision that the West Virginia Department of Environmental Protection is indeed required to obtain permits and set discharge limits for abandoned coal mines under the control of its Special Reclamation Program. A three-judge panel from the 4th Circuit upheld the previous decision by U.S. District Judge Irene M. Keeley, who in January 2009 ruled in favor of the West Virginia Highlands Conservancy in its suit to try to force reforms of the WVDEP special reclamation system. … The statute takes the water’s point of view: Water is indifferent about who initially polluted so long as pollution continues to occur. These arguments get things backwards. For one thing, these consequences are as of now largely speculative. The sky did not fall when WVDEP had to obtain an NPDES permit for the Alton project site, and for all of WVDEP’s and IMCC’s cataclysmic predictions, we may not assume the sky will fall now. More importantly, we are not in the business of rewriting laws whenever parties allege it is difficult to comply with them. Exempting the state on those grounds risks sending the wrong message to mining companies: Don’t bother complying with the permits, because the state won’t either. … These arguments about the heavy burdens imposed by the permit program are hardly novel. Any time Congress imposes a permit scheme, some regulated entities will complain that the permits impose onerous costs and will lead to all manner of hazardous consequences. Here, Congress has determined that a permitting scheme is the crucial instrument for protecting natural resources. It is for Congress to weigh the consequences of compliance with the laws it enacts. In passing the NPDES scheme, Congress considered the costs and decided that the benefits were worth it. If Congress somehow struck the balance wrong, it is for Congress to correct it. Along with Keeley’s decision in West Virginia’s Northern District, WVDEP was also facing an order from U.S. District Judge John T. Copenhaver Jr. in Southern West Virginia requiring the state to start writing permits with discharge limits for special reclamation sites. … WVDEP’s state law obligations to take over bond forfeiture sites and engage in reclamation efforts invoke Clean Water Act obligations to obtain NPDES permits. Permit requirements are often, and sometimes understandably, a source of discomfort for those required to obtain them. If so, West Virginia can attempt to ease the burdens it foresees. It can petition Congress or the EPA to create exceptions to the CWA for states that move to ameliorate the problems private companies leave behind. Or WVDEP can address the other side of the equation and increase the funds available for reclamation, either by raising the SRF tax on coal or enlarging the bonds mining companies must post before beginning their work. November 2, 2010 by Ken Ward Jr. 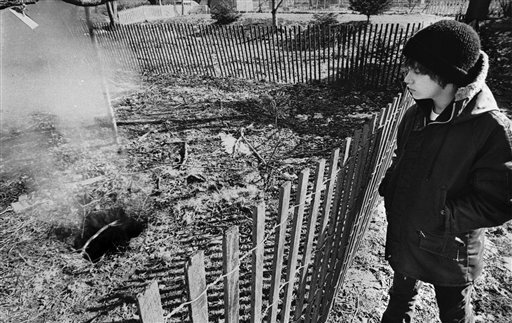 In this Feb. 14, 1981, file photo, Todd Domboski, 12, of Centralia, Pa., looks over a barricade at the hole he fell through just hours before this photo was taken in Centralia, Pa. The hole was cause by a mine fire that had been burning since 1962. 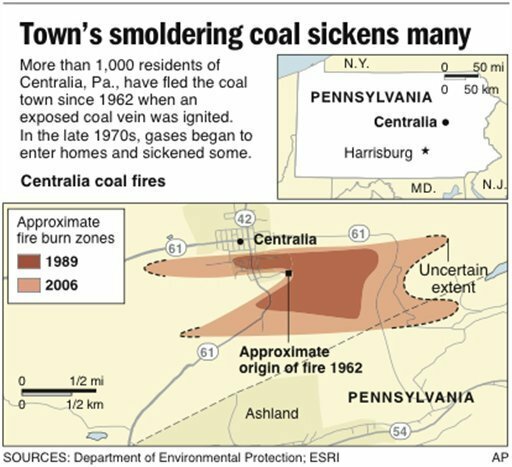 ALLENTOWN, Pa. — Residents of a central Pennsylvania coal town decimated by a mine fire have gone to federal court in an effort to prevent state officials from evicting them from their homes. Centralia’s few remaining residents lodged a civil rights complaint against the state Department of Community and Economic Development and other defendants, alleging a conspiracy to steal the mineral rights to billions of dollars worth of anthracite coal. The residents asked a federal judge Friday for an injunction that would bar the state from proceeding with eminent domain while their lawsuit, filed earlier this week, is being heard. Most of Centralia was demolished in the 1980s after the slow-burning fire that began in 1962 at the town dump spread to the underground network of coal mines, threatening residents with poisoning gases and dangerous sinkholes. Only a handful of people remain in Centralia, resisting the state’s efforts to get them to leave. June 23, 2010 by Ken Ward Jr.
United Mine Workers President Cecil Roberts and West Virginia Congressman Nick J. Rahall warned this morning that a crucial UMWA pension plan — covering 120,000 working and retired miners — is at risk of insolvency without some kind of fix. The fix proposed by Rahall and the union has the support of the Bituminous Coal Operators Association, but it received a cold reception today from the Obama administration during a congressional hearing before the House Natural Resources Committee that Rahall chairs. You can read all the testimony here, but I’ll try to summarize the situation as best I can, and provide more detail and context than my post last night alerting readers to today’s hearing. The retirees and surviving spouses who depend on the 1974 Pension Plan live in all 50 states, but the majority of them still reside in the coal mining states of West Virginia, Pennsylvania, Kentucky, Illinois, Virginia, Alabama, Ohio and Indiana. Many of the retirees are elderly with nearly 40 percent of the retired population over 75 years of age and about 17 percent of the population over 85 years of age. The 1974 Plan provides them with modest but crucial income. The average pension benefit for a retired miner currently receiving benefits from the 1974 Pension Plan is $590 per month and for a surviving spouse the average benefit is about $304 per month. I think any reasonable observer would agree that coal miners work in harsh conditions that endanger their lives in many ways. They should not have to worry about the modest pensions that have been promised them after they retire. When it passed the 1977 federal strip mining law, Congress created a tax on coal production, meant to raise funds to reclaim coal-mine sites that were abandoned prior to the law’s requirement that operators clean up after they’re done mining. Folks who have followed the issue know that the Abandoned Mine Land program hasn’t quite lived up to its promise, at least in part because Congress and the Office of Surface Mining have allowed money to be diverted from its primary purpose — cleaning up dangerous coal-mining sites — to other things. We outlined this whole problem a few years ago in a Gazette series, and this story summarizes it pretty clearly. 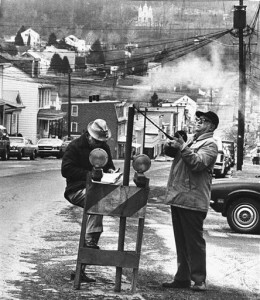 In this April, 1981, file photo, U.S. Bureau of Mines’ John Stockalis, right, and Dan Lewis drop a thermometer through a hole on Main Street in Centralia, Pa., to measure the heat from a shaft mine blaze that burns under the town. ALLENTOWN, Pa. — Centralians have long believed the government’s demolition of their beloved town in the 1980s was part of a plot to swipe the mineral rights to anthracite coal worth hundreds of millions of dollars — and not, as state and federal officials said, the solution to an out-of-control underground mine fire that menaced the town with toxic gases. Now, in a last-ditch effort to save their homes from the wrecking ball, the few holdouts who remain in the Pennsylvania town are taking their claims of a conspiracy to court. In a filing late Monday, four property owners and the borough of Centralia said a “massive fraud” forced the needless relocation of more than 1,000 residents and the destruction of more than 500 homes. The property owners asked a state appeals court to stop Pennsylvania officials from kicking them out and finishing off the town 100 miles northwest of Philadelphia. 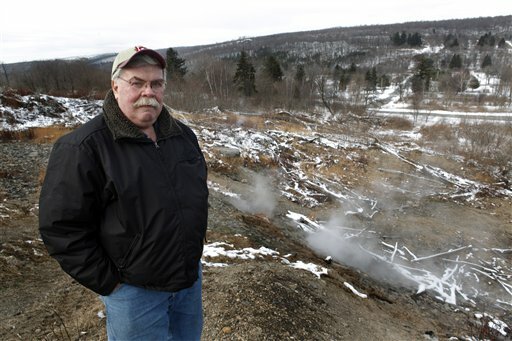 February 8, 2010 by Ken Ward Jr.
CENTRALIA, Pa. — Standing before the wreckage of his bulldozed home, John Lokitis Jr. felt sick to his stomach, certain that a terrible mistake had been made.He’d fought for years to stay in the house. It was one of the few left standing in the moonscape of Centralia, a once-proud coal town whose population fled an underground mine fire that began in 1962 and continues to burn. But the state had ordered Lokitis to vacate, leaving the fourth-generation Centralian little choice but to say goodbye — to the house, and to what’s left of the town he loved. After years of delay, state officials are now trying to complete the demolition of Centralia, a borough in the mountains of northeastern Pennsylvania that all but ceased to exist in the 1980s after the mine fire spread beneath homes and businesses, threatening residents with poisonous gases and dangerous sinkholes. More than 1,000 people moved out, and 500 structures were razed under a $42 million federal relocation program. 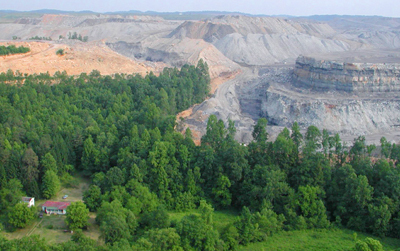 February 1, 2010 by Ken Ward Jr.
Interior’s Office of Surface Mining Reclamation and Enforcement is coming back again with its recommendation to stop sending money for abandoned coal-mine cleanups to states that have already cleaned up all their abandoned coal mines. We’ve written about this before, about this time last year, when President Obama first floated the idea. See previous links here, here, here and here. Terminating payments to coal-producing states and tribes that no longer need funds to clean up abandoned coal mines. But this year’s proposal is a little different, in that it proposes to set aside $10 million per year to address high-priority coal problems that may develop after states or tribes become certified and for any remaining federal projects. For those who have forgotten, the issue here is that a few states — most importantly, Wyoming, the nation’s largest coal producer — have “certified” that all of their pre-1977 abandoned surface mines have been properly reclaimed. Budget under current law, they continue to receive millions of dollars in money intended to clean up coal-mine messes. For more, check out this story from my Abandoned Promises series on the AML program. This story is worth a read as well. Last year, this proposal went nowhere after it got significant opposition from Wyoming lawmakers. It would be interested to see what happened if Sen. Robert C. Byrd or Rep. Nick J. Rahall decided to champion the idea. October 23, 2009 by Ken Ward Jr. The U.S. Environmental Protection Agency has agreed to adopt rules reducing toxic air pollution from the nation’s coal- and oil-burning power plants, by November 2011, according to a settlement agreement reached in a federal lawsuit brought against the agency by a coalition of public health and environmental groups. The settlement has been lodged in the United States District Court for the District of Columbia. Attorneys at Earthjustice, Chesapeake Bay Foundation, Clean Air Task Force, Natural Resources Defense Council, Southern Environmental Law Center, and Waterkeeper Alliance filed the lawsuit last December on behalf of their organizations and the American Nurses Association, Conservation Law Foundation, Environment America, Environmental Defense Fund, Izaak Walton League of America, Natural Resources Council of Maine, The Ohio Environmental Council, Physicians for Social Responsibility, and the Sierra Club. August 25, 2009 by Ken Ward Jr.
A second federal judge has ordered the West Virginia Department of Environmental Protection to clean up the way it cleans up abandoned coal mine pollution. U.S. District Judge John T. Copenhaver Jr. yesterday ruled that WVDEP must obtain permits for the abandoned mine sites it maintains under the agency’s Special Reclamation program. Essentially — and very importantly — this means that WVDEP is going to have to set pollution limits for these sites, and improve the treatment being used so that discharges from abandoned mine sites meet the state’s water pollution limits. Earlier this year, U.S. District Judge Irene M. Keeley issued a similar ruling in West Virginia’s northern district. Copenhaver’s decision covers the state’s southern coalfields, and specifically addresses three sites at issue in the case brought by the West Virginia Highlands Conservancy and the West Virginia Rivers Coalition. This ruling is also the second time in a week that Judge Copenhaver has ruled against WVDEP in a significant Clean Water Act case. Last week — in a matter that WVDEP wasn’t even a party to — the judge concluded that the agency’s secret deals with coal operators do not prohibit citizens from bringing their own pollution enforcement lawsuits. The State was running these three sites ‘off the books’ to try to escape accountability for necessary water treatment. Two district courts have now ordered the State to obtain the required discharge permits for 21 bond forfeiture sites. Once it does, the State will have to comply with the water quality standards it is now violating. August 3, 2009 by Ken Ward Jr. In case any Coal Tattoo readers missed it, Randy Huffman, secretary of West Virginia’s Department of Environmental Protection, responded this weekend to a previous op-ed piece in the Gazette that had urging funding for the AML cleanup of Deckers Creek in Morgantown. The Richard Mine project is on a scale that demands more study and consideration before committing significant additional funds. We have worked with Friends of Deckers Creek and the Natural Resources Conservation Service on this project, as well as many others in the watershed. We will continue to work on the affordable and viable treatment projects in the upper areas of the watershed that are close to being restored because of the effort of many people working together. July 13, 2009 by Ken Ward Jr.
Derek Springston, a volunteer with Friends of Deckers Creek, helps to monitor water quality near an old mine at Richard. 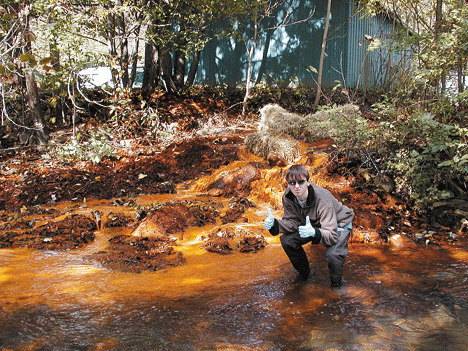 Iron from the mine drainage colors the water and bank orange. When it settles in the streambed, it smothers habitat for aquatic insects, which would provide food for fish.Â Courtesy photo. Your Sunday Gazette-Mail’s Perspectives page featured a commentary by Evan Hansen of Downstream Strategies and Sarah Veselka of Friends of Deckers Creek about their efforts to convince state officials to spend some Abandoned Mine Lands program money to finish the cleanup of Deckers Creek in Morgantown. I’ve been a little skeptical of such projects being moved to the top of the stack of AML projects in theÂ Appalachian coalfields. Why? Sure, it sounds like a win-win that would clean up an environmental problems and help spur tourism as part of a more diverse economy for that part of West Virginia. But when I wrote Abandoned Promises, a series on the AML programÂ five years ago, among the things I learned and reported about was the effort by some states — primarily Pennsylvania at the time — to divert huge amounts of federal mine cleanup money to projects like this, which are lower down on the priority list set by Congress.